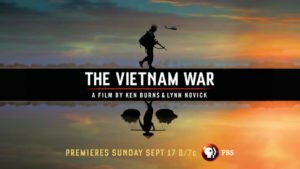 Podcast: Gene Marx, "Sir: We're not the good guys"
by Courage to Resist & Vietnam Full Disclosure | 24 min. Gene ranks as his most gratifying experience in fifteen years the eventual VFP bylaw recognition of international veterans and chapters, acknowledging the indispensable efforts of the 2011-12 Membership Committee that helped make it happen, including committee workhorses like Barry Ladendorf, Adrienne Kinne, and VFP-UK’s Ben Griffin. Gene Marx: … I had every intention of staying in the Navy. When I see Naval Aviators, I’m envious that they get to go on an aircraft carrier and do that. But I don’t see how they’re doing it now. I wanna have a heart to heart with a lot of them. Matthew Breems: This is the Courage to Resist podcast. My name is Matthew Breems. 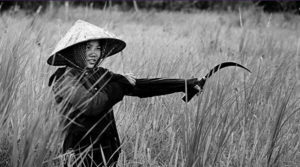 This Courage to Resist podcast is produced in collaboration with the Vietnam Full Disclosure Effort of Veterans For Peace. My guest today is Gene Marx. Gene is a retired air traffic controller. Raised in Rancho Cordova, California, Gene was commissioned at 23 at NAS Pensacola in August 1969, earning his wings in 1970. From October 1971 to July 1972, he was deployed in Vietnam as an Airborne Electronic Warfare Officer with VAQ-135 on the attack carrier, USS Coral Sea. Gene, can you just give us a brief overview of your life leading up to your commissioning? Gene Marx: Matt, I was raised an Air Force brat. I grew up in an environment that fed off of my own father’s legacy. He was killed right after the Korean war, he was an Air Force pilot. From day one, the only thing I ever wanted to be was an Air Force pilot. I had friends that were gonna go that route as well. You know, it was the times I guess, I grew up in the 50s and 60s, you know, John Wayne, Strategic Air Command with Jimmy Stewart, Bridges of Toko-Ri with William Holden, and that’s what formed me actually. And when it comes right down to it, I hesitate to say this, but we were almost … this country was maybe at that time, a force for good in the world. Basically I went to high school just so I could get in college so I could get a BA so I could go to OCS and become a … and get my wings, that’s how it worked for me. My best friend did the same thing, my protagonist, and he went the Air Force route. As it turns out, I went the Navy route. I flew in the Navy. My eyes failed me when I got to Naval flight training, and I had to settle for being a right-seater instead of a left-seater. In those days they called it a BN, but I was hardly a BN, I was an airborne electronic warfare officer. We flew with the strikes and jammed missiles. Tried to neutralize missile launching capabilities for the most part. So that’s basically how I ended up where I ended up as far as the military goes. 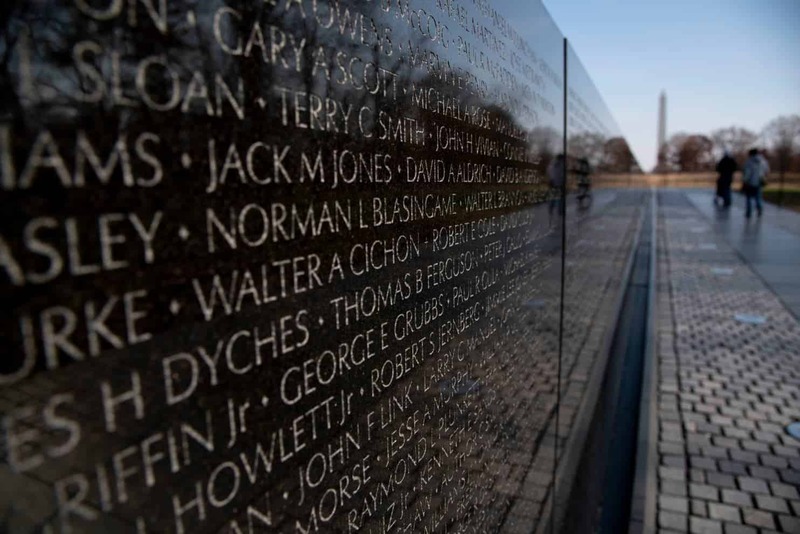 Matthew Breems: What did your service in the military during Vietnam … what did that look like? What you did, what your position was there. Gene Marx: Sure. My time in Vietnam came at … I had actually two combat … The first one was a Mediterranean cruise, actually, we were on our way to Vietnam, but they actually turned us around and sent us to the Mediterranean for the Jordanian crisis. A couple of heavy air carriers were hijacked by some … I don’t even remember the faction that hijacked ’em at this point. But they turned the John F. Kennedy around to do about six months in the Mediterranean. All that ended up being was a time to flex our muscle while we were over there. Then we came back and did a turnaround, a fairly quick turnaround, for Vietnam. I went to Vietnam in the fall of 1971 and stayed there until summer of ’72. I was there during the time that we were turning it back over to the South Vietnamese government. It was kind of a strange environment. In fact, at one time Johnson had stopped the shooting for awhile, at least north of the DMZ, as far as bombing goes, stopped the bombing. We were out there for a couple months just doing road recces and things like that, and doing things that we probably shouldn’t have been doing. March of ’72 he opened it up, we were 24-hour flight ops until we left sometime in July. It didn’t take me long to realize that even though I was a college grad and I’m not the only person in the world that gets lied to. But I had such a legacy thing going for me, and I had such an upbringing to overcome. I figured that if we were there, we were going to be doing something good. Matthew Breems: Right. ‘Cause that was the legacy that you were brought up to embrace. Gene Marx: Yeah. I actually took part in demonstrations before I left. I was on the streets with people from my line division. I was a line division officer that cruise. I was in demonstrations in San Francisco that were … there were over 350,000 people in Golden Gate Park protesting the war. Heck man, I wanted it to be over more than they did ’cause I knew I’d be going there in a couple of months. When I ended up going over there … I was doing my thing and it didn’t take me long to realize that we weren’t the good guy. Matthew Breems: Is there a specific incidence that was an eye opener for you in that way? Gene Marx: My first … A lot of people call in a red line. I think a lot vets had red lines when they’re in those kind of environments. I was up on a strike one evening, I saw my first Arch Light strike. It’s a term that they use with B-52 carpet bombings. To me it looked like … It was an area at night that covered a state, when in actuality it covered a place as large as Whatcom County in the Pacific Northwest. I’m thinking at the time, “There couldn’t possibly be anything alive up there underneath that.” It was incredible. It was an incredible light show. I had been there probably three months. But you know what? When you’re there, all you do is stay busy. You’re incredibly, and I’m sure it hasn’t changed in all these years. When you’re flying, you each have a set regimen to maintain, that’s basically it. I’ve told people over the years that I wasn’t over there defending anybody’s freedom. The only thing I was doing over there was trying to get home, and trying to do what I was sent to do. 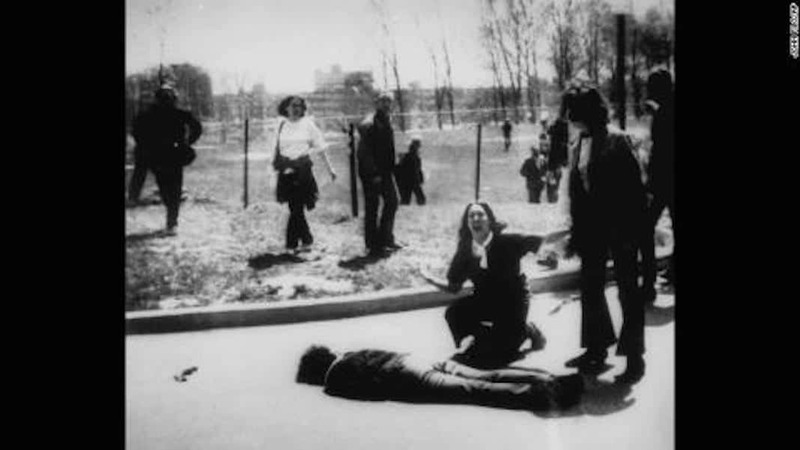 It got to the point in late March of ’72, that I was nearly … Actually, to this day I don’t know why I’m alive. Because we had to avoid a missile that required us to put this 20-year old airplane in a split-s to avoid getting hit. We lost 10,000 feet of altitude. Frankly, I didn’t know how we were going to pull out of it. I don’t want to turn this into a sea story. But it did actually … The aircraft didn’t come apart, we actually did ride it, and we actually returned to the aircraft carrier. I don’t think anybody passed out, but we couldn’t figure out what was going on because we were in an area where we weren’t supposed to be getting shot at. You know, incredibly enough, and these things happen in a war … incredibly enough, the very same hour over Laos, the friend of mine that I told you about, that we grew up together since we were 10 years old, was shot down and was killed. That very same hour. Matthew Breems: What was his response to that? Matthew Breems: You were over there fighting, weren’t you? Gene Marx: Yeah. I said, “Sir, all due respect, I’m sittin’ on the same can in the Gulf of Tonkin with you. But this is it for me. I’m not doing this anymore.” I had every intention of staying in the Navy. When I see Naval Aviators I’m envious that they get to go on an aircraft carrier and do that. But I don’t see how they’re doing it now. I want to have a heart to heart with a lot of them because in those days we actually … I’d go out and be pre-flighting my aircraft on the flight deck knowing full well that’s there’s gonna be an aircraft that wasn’t going to be coming back. And you know It could be me, it could be somebody else, but that’s not the case now. There’s no air defense in these places that we’re at. Anyway, I’m getting off subject. But anyway, that’s what did it for me. I did my rotation in Vietnam, I was back in the States towards the end of the summer of ’72, and I put in another three or four months and got out. I couldn’t do that anymore. Matthew Breems: So you’ve grown up, you’ve got this legacy and this expectation of doing military service. You actually go do your military service, then you get out of the military, get out of the Navy, for lack of a better term, a bad taste in your mouth. What were the next steps for you now? Gene Marx: A lot of young vets are going through the same thing I went through back then. I was mid 20s, late 20s, and trying to find a job, trying to get my head together, and not knowing what … Actually, at that point, you really don’t even know what the heck your government is up to, sincerely. Matthew Breems: So there was a disillusionment you were working with? Gene Marx: Yeah, exactly. I was outspoken enough when I came back. I was killing a little time, I went to school for about a semester. I was one of the mouthy guys that really didn’t know where to direct it. There were some folks that were bad mouthing our military, there were some folks that were bad mouthing the so-called Viet Cong, and I was kind of caught in the middle of it. So it was very … I did a lot of multi-tasking back in those days until I get on with the job that ended up being my career. And at that time I had a four-year old and another son on the way. I had to keep myself together as well as my job together, my career together, and ended up putting in 35 years with the Federal Aviation Administration. I remember there was a time back in the 70s when … actually late 70s, when … do you recall Rambo? 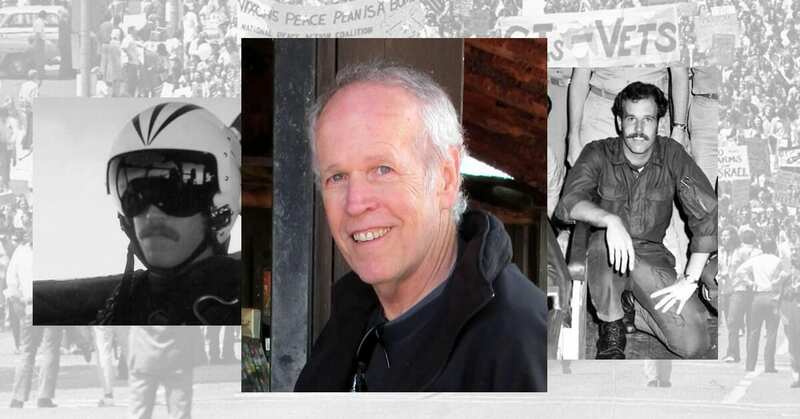 Matthew Breems: Walk us through some of the things you’ve done as an activist after the Vietnam War as your kids are growing up, and you’re doing the American life thing. What have you done that’s different or that stood out? I honestly thought that it would make a difference to lobby my congressional representatives. So I spent countless air miles and countless bucks flying here and there to lobby in person, to do what I could. In those days if you had 100,000 people on the street in Washington D.C., it was actually noticed. Actually we had demonstrations that were well over that. I can recall the first one I was fairly excited about was Military Families Speak Out, it was over 200 300,000 people. Matthew Breems: What time frame is it and what year is this happening in? Gene Marx: The one that really got me connected with Veterans for Peace was 2004. Gene Marx: I went to the Republican National Convention demonstration. The convention headquarters, and CNN, and the whole thing. There was obviously 300 to 400,000 people. I don’t think it had near the coverage it deserved. I saw VFP signs, Veterans For Peace signs, and when I was marching with Military Families Speak Out and I ran up to meet some of the leadership of Veterans For Peace and I’ve been with them ever since. I actually connected, joined, and I find when I come home that there’s actually a local chapter, if you can believe that. So I joined that chapter, and I’ve been one of their coordinators since then. I’m probably no different from a lot of people. We have a lot of affiliations in addition to Veterans For Peace. I’ve affiliated with the Quakers. I wouldn’t have known a Quaker if I fell on one before I came to Bellingham. I work with FCNL, I work with them. We try to keep it civil. We actually meet with Congress people. We meet with our legislators. I’ve met with Patty Murray, and Maria Cantwell, and Rick Larsen, and Suzan DelBene. We meet with them on a regular basis. They’ll meet with FCNL people, so I have to stay civil. They wanted some VFP representation with them. I think they needed a little bit of grit to accompany ’em. We have a peace and justice center that I ended up joining their board, being elected to their board. I was on that for about three years and ended up being the board president. So you stay busy. Actually for awhile there during the Bush years, I was probably more busy than I was working. To tell you the truth I had more things at home that I had to do. And then, after that, lead to ,,, In 2010 I ended up being appointed to the board of Veterans For Peace, and there was more traveling there. Matthew Breems: So it’s almost like your son’s involvement in the Iraq War was a second wind on your activism that’s really propelled you to another level even after your own experiences. Gene Marx: He actually gave it life. That gave it life. I ended up meeting people that I felt like I had an affinity with. So, it keeps you busy. I ended up staying fairly active during the Bush years, and then it seems to me … Maybe you’ve heard this before, but after Bush left office and Obama took over, the peace movement died. So I had a hard time dealing with that. We had a period of time, that’s eight years, where here’s a guy that was probably doing far more worse things things than Bush ever did, but nobody would admit it. You probably haven’t heard this from VFP people, but we had a couple of events in Washington D.C. where we had a call out to vets to meet us in Washington D.C., and I don’t remember the occasion, but we had double digit turnout in Washington D.C. of a national call out, if you can believe that. That was during that time. That happened on a couple of occasions. That was a really slow time for the peace movement. You know what’s really interesting though, one of the things that happened while I was on the board of Veterans For Peace, was that I convinced the board that we needed to go international. As we record this right now, we’ve got some Veterans For Peace at Shannon, Ireland that are protesting our transportation effort to get troops through Shannon airport. That’s contrary to their own constitution in Ireland, but they let ’em go there and ship arms, and ship soldiers, and they use Shannon airport. So we’ve got a contingency of VFP right now over in Ireland, thanks to our effort of getting international vet and international chapters going. We’ve got an Irish chapter, we’ve got a … The first one we ever got going was the Veterans For Peace UK, under Ben Griffin, a fantastic guy in London. We’ve got ’em all over the world now, in Asia, in Mexico. I think, if anything, that’s probably one of the things I’m more pleased with. Matthew Breems: As far as being an activist, what have been some of the repercussions in your life to that decision to become an activist? In general, people don’t look on that kindly. So what have been the repercussions to your decision to be an activist? Gene Marx: That’s an interesting question. My wife, I think she got hit harder than I did. I mean I’m used to it. An air traffic controller, or a Naval Aviator, they’ve got pretty thick skin or they wouldn’t be in that line of business. But my wife’s family pretty much disowned her. There’s maybe one sister that I can say actually keeps in touch with her, she has four sisters. Her mother, at that time, really was kind of put off by us being so anti-Bush and anti-America, at the time. I remember she said … At one point she told me, “What? Do you think it’s my fault that they’re going to Iraq?” And I said, “Well, actually, it is. If you think about it, you’re the one who supported Bush and one of the ones that voted for him. So in a sense you support him, and that’s one of the reasons why he’s going.” I have this propensity to maybe possibly not say the right thing at the right time. But you know what’s amazing Matt? I find out that I’m not the only one. My family’s not the only one that had to put up with something like this. I’ve got friends now that are anti-war, maybe not activists, but they lean left and they’re anti-war folks who haven’t spoken to their families for years because of being so outspoken against the US government. I think we have to really pretty much focus on policy now. And a policy that spends, that causes in excess of a trillion dollars a year to be spent on dropping bombs on innocent people is not a force for good in the world, it’s not something or someplace we ought to be going. It doesn’t matter what side of the political spectrum you’re on. So no, I don’t know, you have to concentrate on policies and not labels. I think we’ve got enough veterans out there now, veterans like me, that the numbers are going to be overwhelming in a couple of decades. People like I was who had to raise a family before they hit the streets. These people are going to be there too. There’s going to be a lot more veterans that are going to be pissed off than there were back in the 70s, and the 80s, and the 90s, by the time that these people are able to hit the streets. Matthew Breems: What would you say to those who haven’t had a first hand experience with being in a war, in a conflict like yourself, and they’re just ambivalent about the issue, they never really thought about it? What would you say to them so that they would see this issue differently than they do currently? Gene Marx: I think you have to connect the dots for them if they’ll give you time. If they can give me 20 minutes of uninterrupted time, I could lay it all out for them. I can explain what I did and what people have done to innocent people, and how it’s gone nonstop for the last 50 years. You’ve gotta make them understand that you’ve got people out there that are doing things in your name, destroying life on Earth. Military excursions, interventions, wars, are the most polluting thing that we can ever do, and the worst thing that we can ever do for our kids and their kids. I wish they would listen to people like me that have been there. Matthew Breems: Well, Gene, thank you so much for your time today sharing your experiences, your story with us, your thoughts on how to continue activism. Appreciate it so much, thanks. Gene Marx: Thanks a lot, Matt. 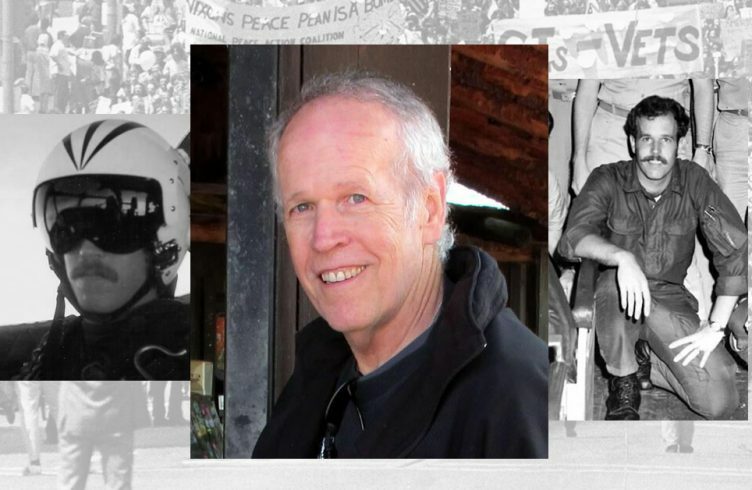 Matthew Breems: This Courage to Resist podcast is produced in collaboration with the Vietnam Full Disclosure Effort of Veterans For Peace. 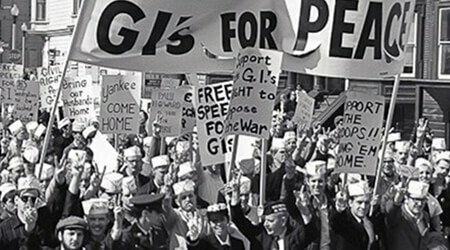 This year marks 50 years of GI resistance to the US War in Vietnam. 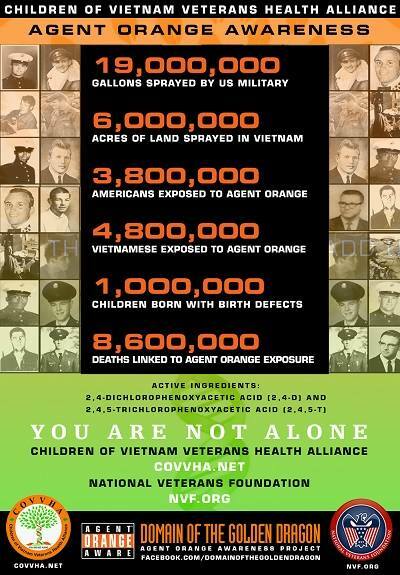 Visit vietnamfulldisclosure.org and encouragetoresist.org for more information and to offer your support. Thank you.